Categories > The Open Forum > In the News/Announcements > Brother John Hamman News!!!!! Hey guys, I'm back!!! Sorry I've been away for a while. I have been working with Steve Reynolds on a surprise for the magic community regarding Brother John Hamman, and now it is coming to fruition. So, how many of you have read the big yellow Hamman book, or the smaller red one, or his 7 Deadly Miracles from New York Magic Symposium, or seen the video that Joe Steven put out over 30 years ago? 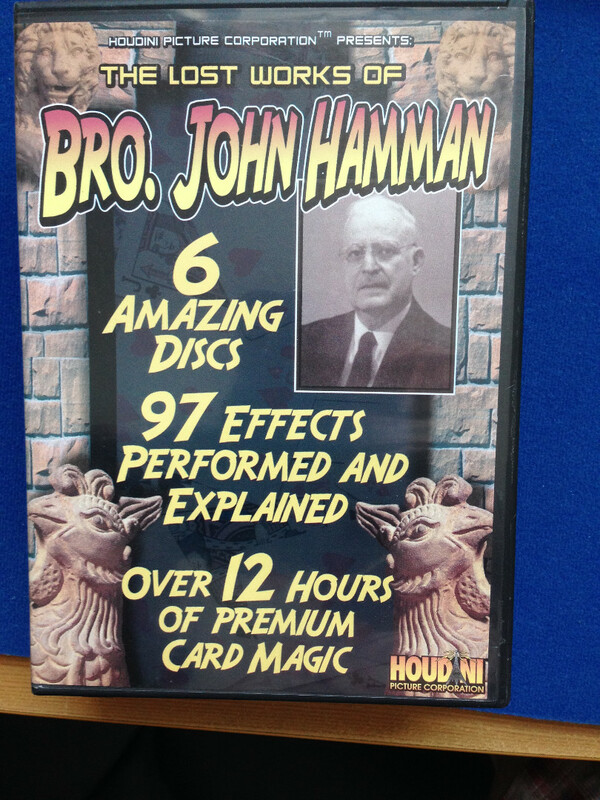 Heck, how many of you are NOT familiar with Brother John Hamman's work? How many of you have never heard of him? Well I am here to announce that Steve and I have started a Facebook group titled The Magic of Brother John Hamman. Last weekend I was at the Pebblepalooza convention in Dallas, TX and got to interview on camera several magicians and talk about Brother John and his work. These interviews will be posted on the group page as well as video of Steve Reynolds performing some Hamman effects. Na, I'll wait. LOL Yes I am going to leave you hanging, but I promise you that you will NOT be disappointed. I have included the link to the FB group at the bottom here. you were missed, good to see you´re fine! remember to have heard of? Yes I am familiar with the DVD set. It is the video that Richard Kaufman took of Brother John performing his tricks for the big yellow book "Secrets Of Brother John Hamman". 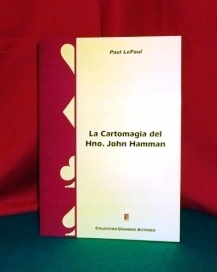 The smaller red book I speak of is "The Card Magic of Brother John Hamman" which was put out by Paul LePaul. It predated the yellow book. I am sure that you will hear what is going on regarding the Hamman project(s). It is sure to generate a lot of excitement. Welcome back, bro! As Axel said, you’ve been missed. Thanks for inviting me into the group. I look forward to what you have in store for us!! I remember when that book came out, everyone was changing up the routines they used in performance to include Brother John's material. I was eating supper with David Williamson at the time and he performed half the book by the time we were though eating. Can't remember a book having that much impact since. ... 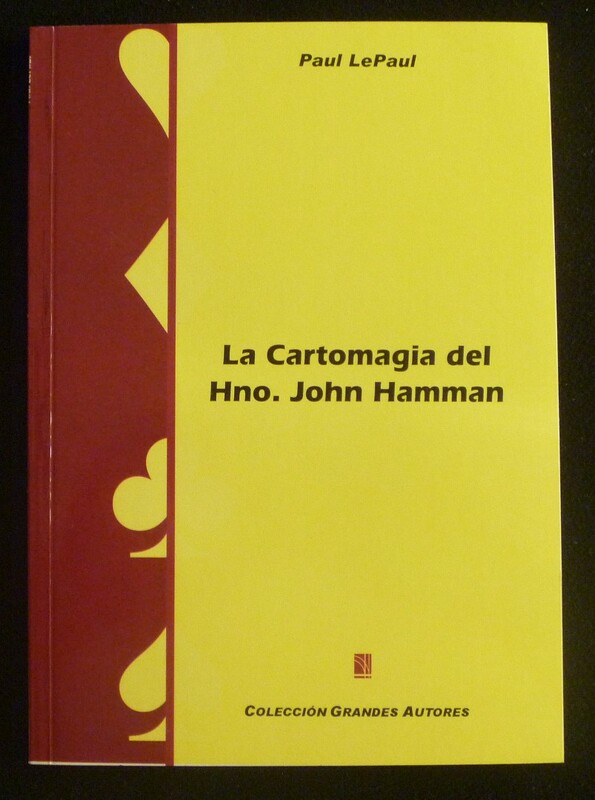 The smaller red book I speak of is "The Card Magic of Brother John Hamman" which was put out by Paul LePaul. It predated the yellow book. Tom, it is amazing at how much of an impact BJH's material had. It was unique, creative, and innovative. I was not aware that the book was available in Spanish. Very nice. Care to take a pic of it and share it here? Feel free to share it in the group as well. I do not have the book, but have found the following pic of (perhaps one of) its spanish translations. Yes alicauchy that is the one I have. I am not home at the moment but when I get there, I'll take a picture of the book and share it as requested. Sounds exciting. Unfortunately I don't use FB so I'll have to patiently wait for the information to trickle out. Ok, here it is as requested. It has 9 chapters and each chapter is an effect. 75 pages total. I don't have the English version so I don't know if they are exactly the same. What a great routine (Final Aces). I just looked ahead to that entry in Hamman’s big yellow book (I haven’t gotten to read it yet) and was amazed to learn that this was the first card routine Hamman created. And according to Kaufman, he did so entirely in his head while suffering from polio when he was 25. He truly had a gift for creation, and I can’t wait to eventually go through his book in full. Marks Brothers is a great routine as well. Check it out. The What and Where Test is great fun. thank you for the book info and @Luis for the nice picture...another book for my wishlist. ...and Marx Brothers IS a really fun routine, I have used it when I got the book for some time some years ago! Well then... 😃 That is awesome! Also Trini - I still perform the marlo aces with follow up ALL of the time. Thank you for that. "Da-da-dat-da... da-da-duh-da!" That was a pretty cool bit of patter to end the trick with, don't you think? Arghhh! I just sold that book from my collection, so now I can't go look up Final Aces. Important and exciting news!!!! So Steve Reynolds and I are releasing out a booklet of 2 routines from Brother John Hamman on June 22, 2018. One of the routines was buried in print and the other unpublished. For the next week and a half, we will be taking pre-orders at a discounted price of $20 (retail is $25). Afterwards the price will go up to its normal retail price, so take advantage of this deal. You do not want to miss out. Also, you will have a chance to win a "free" copy by joining our mailing list. Just follow the link below and it will direct you to the website where you can pre-order and also sign up for the mailing list. So don't delay!!!! I just placed my order! I have the yellow book in my small collection. It's one of my favorite magic books. My favorite routine is "The Two Card Trick". Here's a video of me performing it from about 14 years ago. It's not my best performance of it, and I've tweaked it a little more since then. Here's a index http://www.magictk.com/tablefilter.html that I made last year for another magician on here that was working on making indexes and descriptions. Not absolutely sure but I believe that Bro. hamman's Two Card Trick first appeared in one of the early issues of APOCALYPSE. I also perform/teach it on volume 4 of my "Best Ever" 4-vol. DVD set. Heck of a trick! You are absolutely right, The Two-Card Trick is a beauty. I do the very beginning of "The Two Card Trick" with a different setup because I didn't like grabbing the triple to start. I just put the top card down to the 3rd position. My handling can be seen in the video link I pasted above. I also changed the ending. Actually, it depends on the situation where I'm performing. I typically make the Ace appear in the card box. I've recently been practicing that same routine but using the clear plastic Bicycles that I found. I have red and blue backs, and it's a symmetric pattern, so it's pretty cool looking when performing. When I first bought it, I had read the entire Secrets of Brother John Hamman from cover to cover and at least tried every routine, but then later just selected a few that I liked the most. Steve has shipped the book to folks who signed up for it. It has what may be the best written tutorial on the Gemini Count that I've seen. Two effects are also included in the book...as well as an introduction from David Regal. I'm partial toward the first of the two effects, since it's presented as more of a story. I think you'll enjoy Steve's efforts.